Fundraiser for Chris Westhoff by Hannah Wischmeyer : Help us grow the LCFM! Help us grow the LCFM! 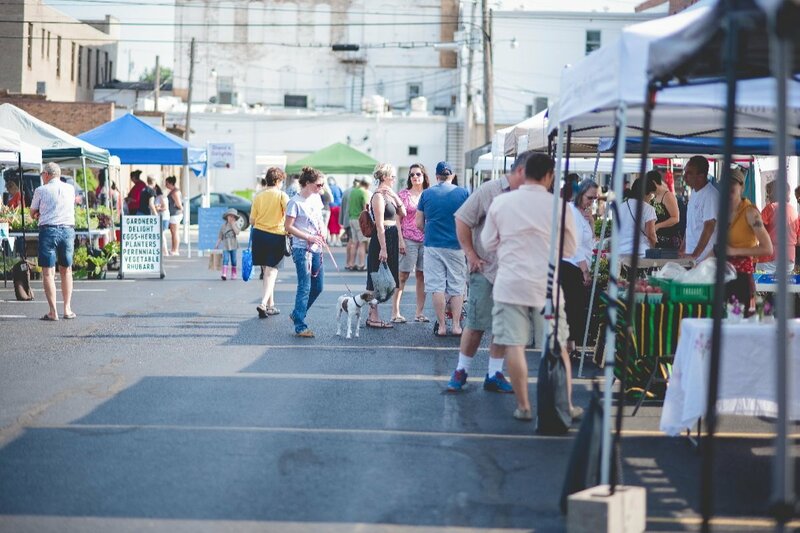 The Logan County Farmer's Market (LCFM) has grown into an integral part of our community—not only as a popular gathering place, but also as a unique platform for farmers, artisans, and food entrepreneurs to springboard their businesses and connect with consumers. From its beginnings with 5 vendors in 1996, the Market now hosts roughly 1,000 shoppers each market day and houses over 25 seasonal vendors who provide an abundance of fresh produce, locally raised meat & eggs, artisan cheeses, breads and sweets, and hand-crafted soap and skin care products. Over 400 children signed up for our Power of Produce program, and SNAP recipients received $1,000 for extra produce. We are asking for support in order to continue offering these valuable produce-access programs and rich community space for years to come. Donations and sponsorships fund daily operations and improvements such as: new tables and chairs, cooking demo equipment, weekly supplies, repairs & upgrades, SNAP technology & equipment, utilities and permits, and staff for community outreach and programs. Only with your support and contribution can the LCFM continue to improve and grow, making it an even more inviting and comfortable place for customers and vendors. When you support the LCFM, you’re supporting small businesses, local farms and farm to table food production right here in Logan County. By becoming a Friend or Sponsor of the Market, you help guarantee the success of this popular public space and help build its bright future! LCFM board members: Alyssa Rice- President, Alan Kauffman- Vice President, Ryan Kerns- Secretary, Chris Westhoff- Treasurer, Don Jones, Beth Miller, Jordan Morgan, Jan Dawson, Joel Wish, and Hannah Wischmeyer- Fundraising Manager.